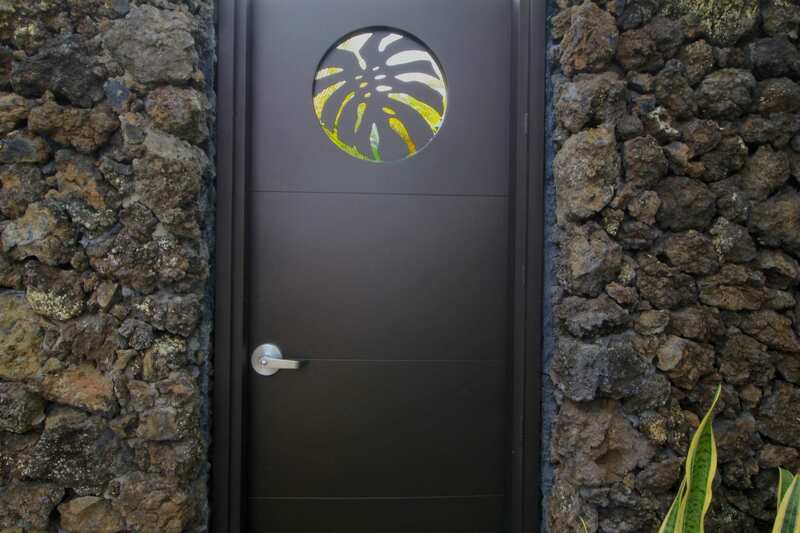 Welcome back to another installment of Padilla Designs “Featured Projects” blog series. 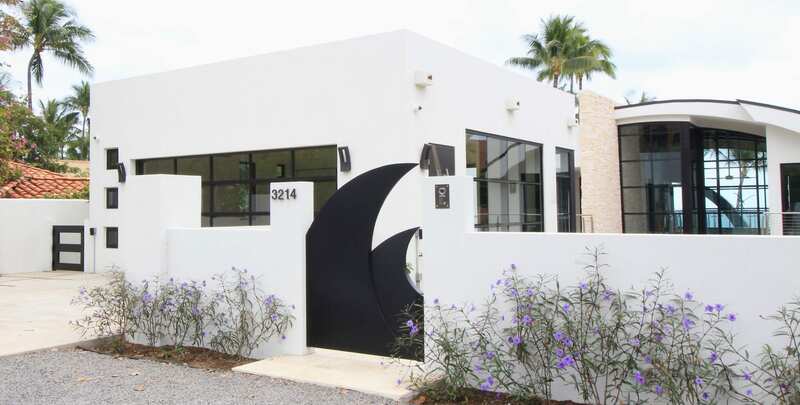 This week we bring you a duo with different homes. 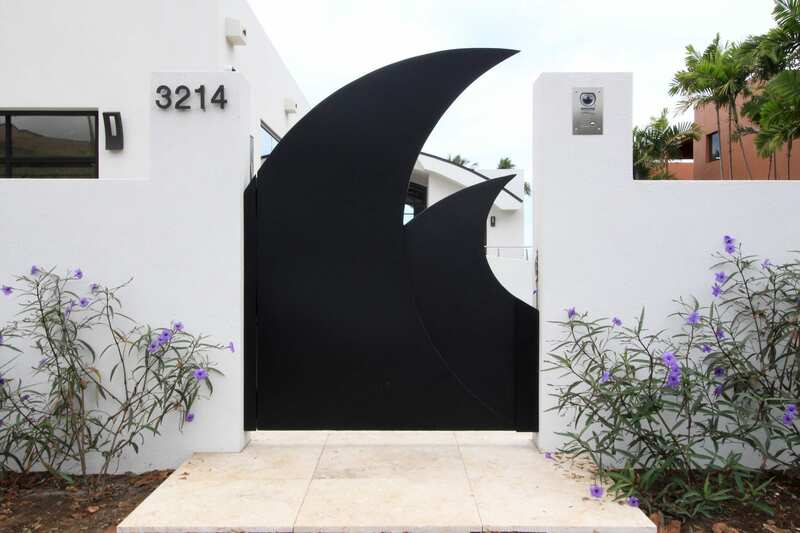 Padilla Designs was requested to fabricate two very clean designs, each chosen to match the architectural style of the home. 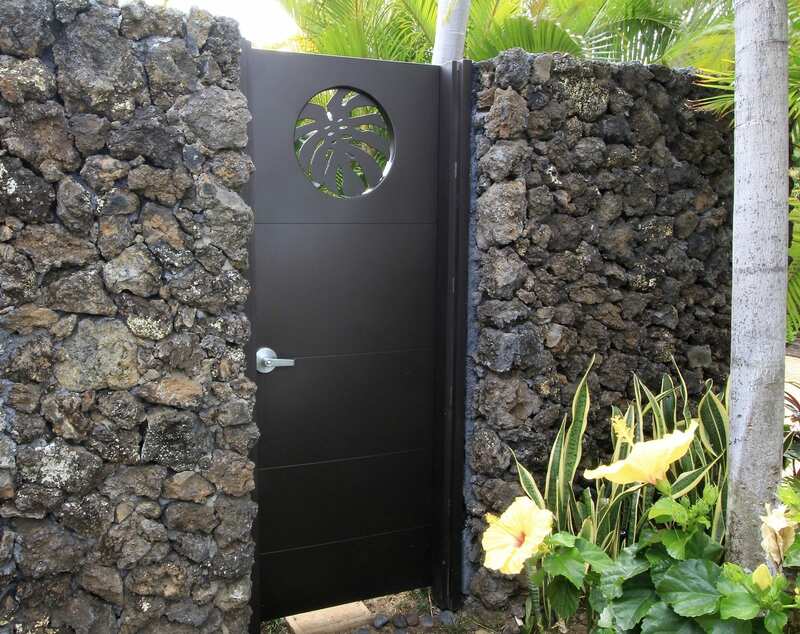 The frames of the gates have 1-1/2″ Aluminum internal support systems and are clad with 1/8″ Aluminum plates on both sides. 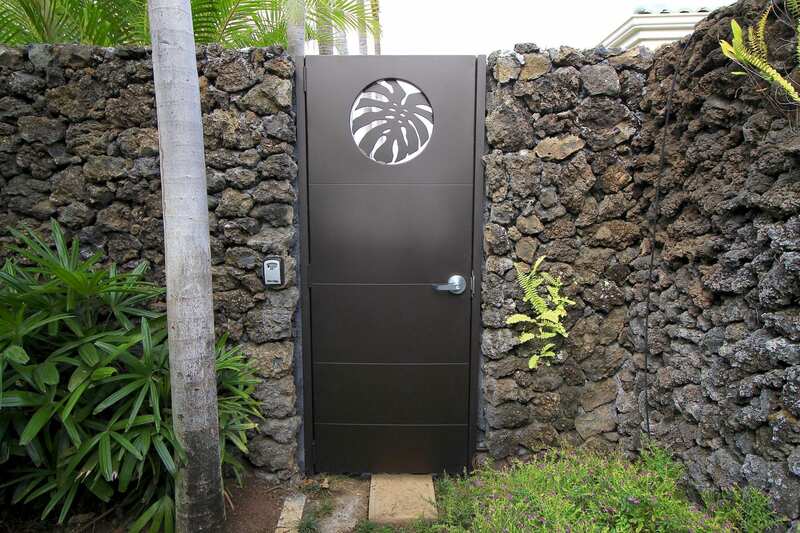 Aluminum is light, durable, and resistant to corrosion. 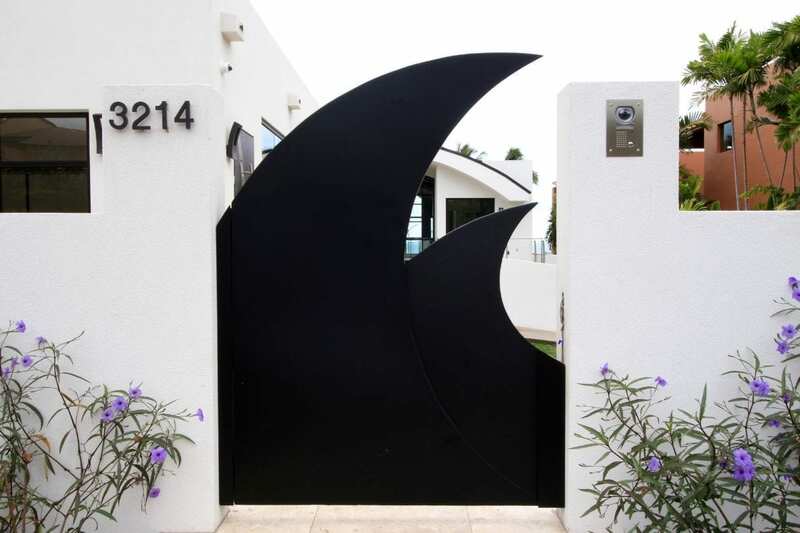 The simple wave design tapers from the width of the fame at the bottom and sides, to a narrow profile at the top of the wave crest. 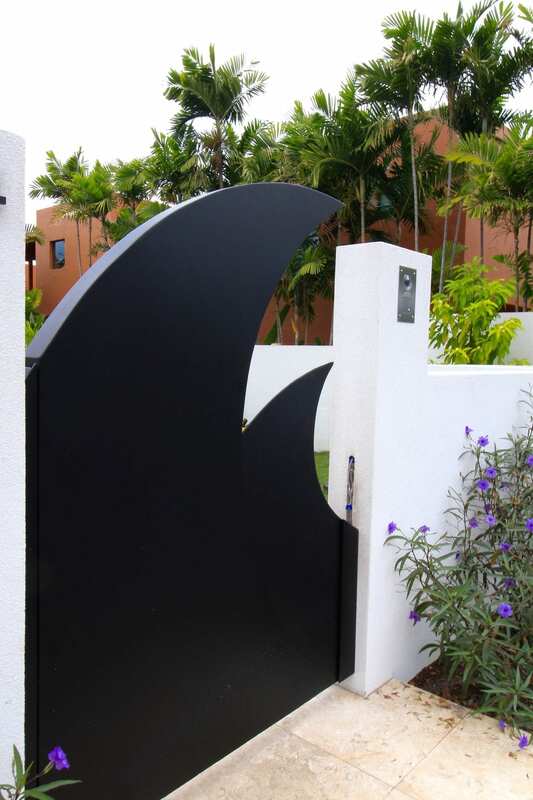 The creative handle was designed to be the softened lower edge of the smaller waves crest. 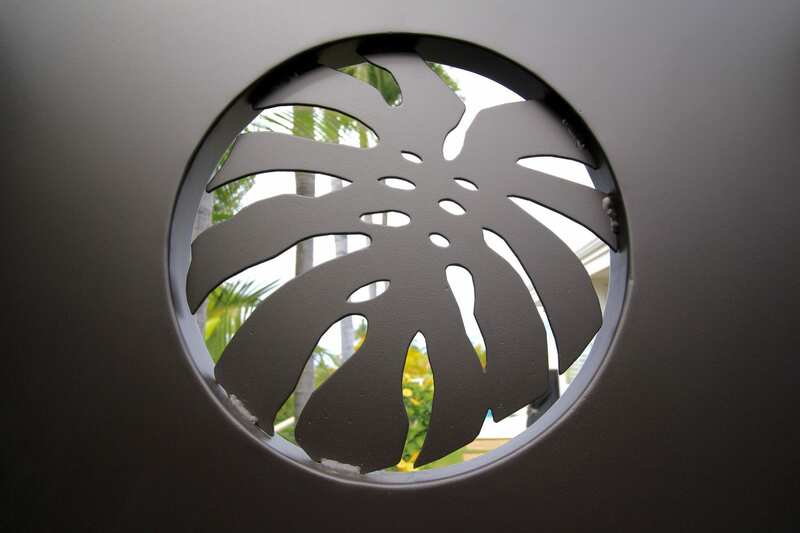 The monster leaf in the center of the circle on the second gate is cut and formed from Aluminum sheet metal. 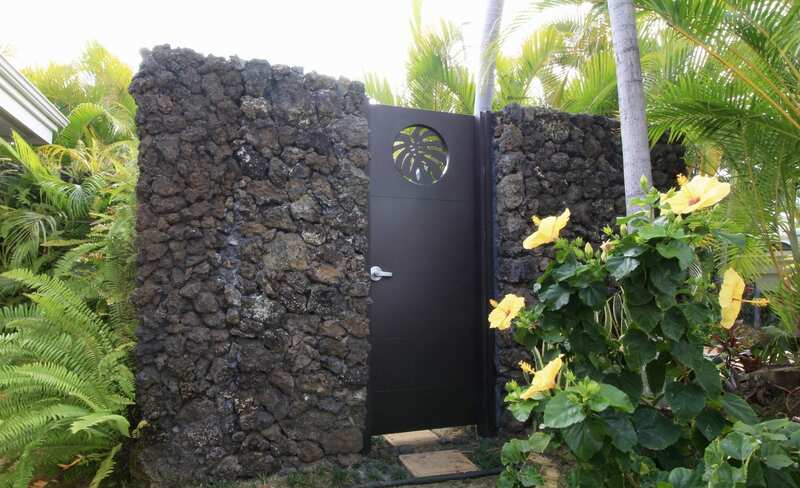 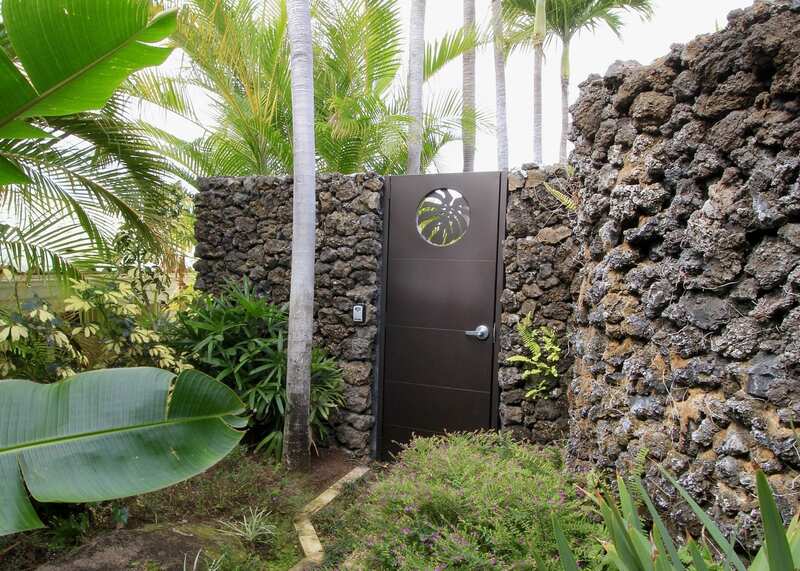 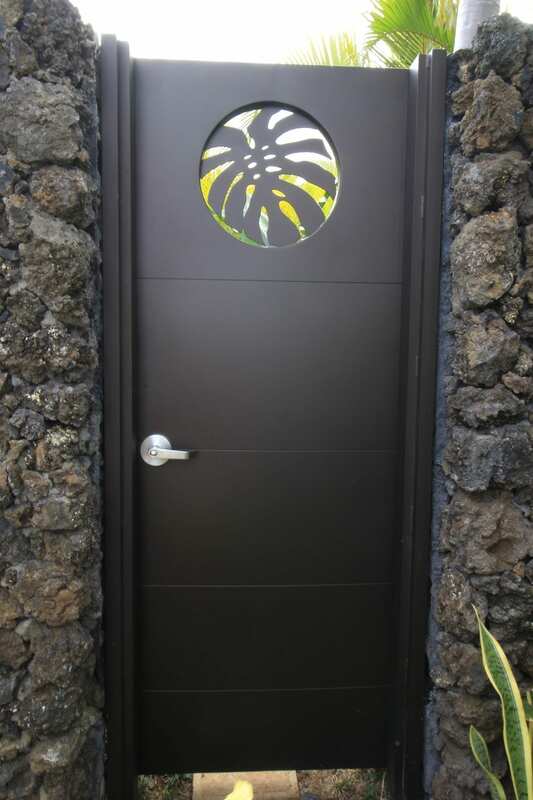 The gates are both finished with a baked dark bronze powder coating by Maui Powder Works.